Top help desk software should offer a few things. Amazing ticket management. Customer service software that improves customer relationships. An in-depth knowledge base. And customer support that is geared towards the users of the help desk. Oh, and one other thing: It should be seamlessly extendable for every other software you use. Meaning not only do they play nice with each other but the talk to each other too. Improving customer relationships. Zendesk added several products during 2016 and expanded the functionality of others. 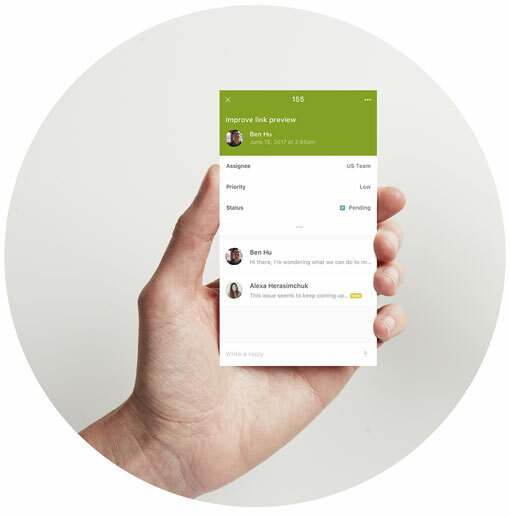 Notable features include Zendesk Talk, with the support of text in SMS, as well as the Channel framework to integrate YouTube video into the customer support experience, and the mobile web widget to add chat to the agent and customer experience. Amazing ticket management. Zendesk offers an intuitive user interface. The system is simple to set up, and its responsive design allows for deployment on websites, on mobile apps and in CECs. Geared toward the help desk. The addition of analytics, satisfaction prediction and advanced voice capabilities, better testing and diagnostic tools, and security monitoring and reporting features has improved Zendesk's product. The Magic Quadrant for the CRM Customer Engagement Center report is available for complimentary download for a limited time.